My first Virginian wine and I am impressed! 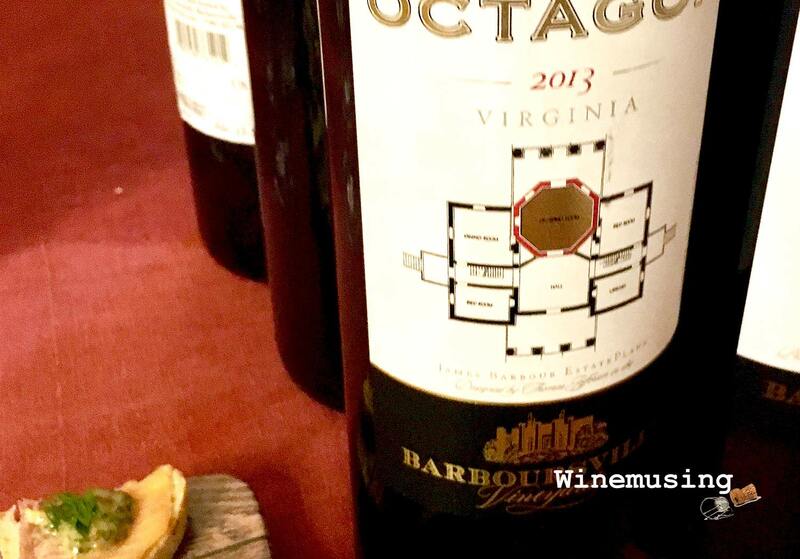 Barboursville Vineyards Octagon is a Bordeaux blend from the estate once owned by politician James Barbour, not far from Jefferson’s estate Monticello. After Gianni Zonin brought Barboursville into the Zonin fold in the 1970’s, he set about proving wine can be good there using his experience of winemaking in Italy. Now, Barboursville offers a rather extensive range of Italian varietals, including dessert style wine, sparkling wine and, of course, olive oil. The merlot dominant blend includes the usual companions of petit verdot, cabernet franc and cabernet sauvignon. Its chocolatey mocha, berry-licious depths have been enriched with a smart new and old French oak regime. This becomes evident in its sumptuously smooth appeal under some fine tannins. It makes me think of crackling fire and comfy sofas after a dinner of a tender steak with some creamy, truffled mash. If this is what the region is capable of, it is very good indeed!